On Wednesday, Virgil Abloh presented his latest collection for his label Off-White during Paris Men's Fashion Week featuring a few familiar faces, like rappers Playboi Carti and Cardi B's (maybe, soon-to-be) ex-husband Offset who walked very slowly along the runway almost as if to say "do you see this coat?!" 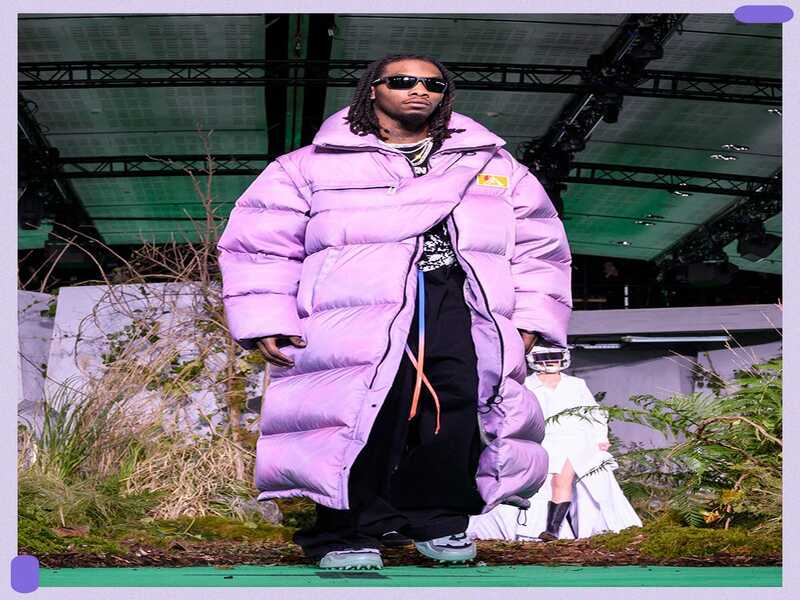 Abloh, King Hypebeast, dressed Kulture's father in an oversized maxi puffer coat with a built in crossbody fanny pack, graphic T-shirt, black pants, and dad sneakers. This isn't the first time Offset modeled during Fashion Week. Last September, the 27-year-old walked in Jeremy Scott's New York show. However, back in the City of Light, Offset, nee Kiari Cephus, is having what appears to be the best time ever. 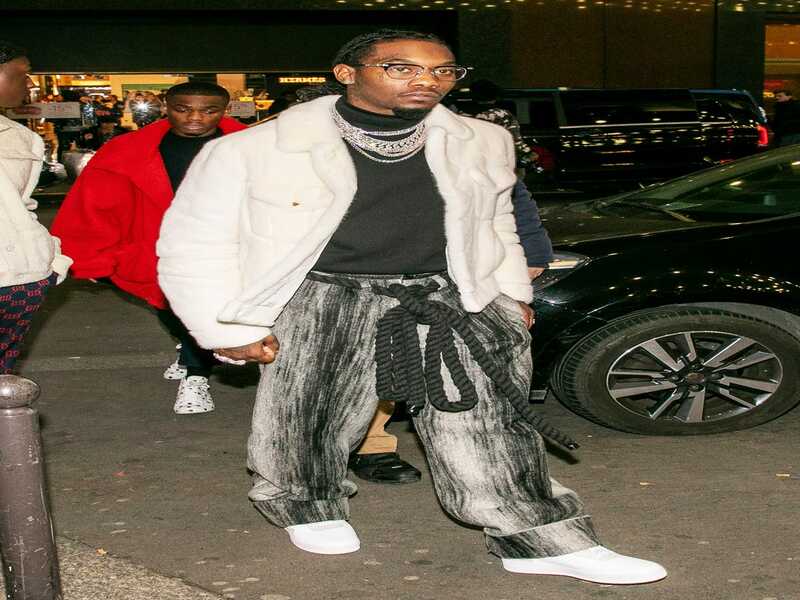 In between Instagramming himself on photoshoots and backstage at Virgil's show (where he got his skin touched up before hitting the runway), the Migos rapper was photographed out and about wearing baggy striped Gunther Paris pants, a rope around his waist and a black Balenciaga turtleneck. But the real star of the show was his white shearling Louis Vuitton coat. Earlier in the week, he wore yellow neon pants and a tie-dye fleece sweatshirt, both Abloh for Louis Vuitton. On Tuesday, he took in the Gunther Paris show in a noticeably more muted, but chic look wearing a kimono-style top, cuffed jeans and sneakers. He may need help when it comes to picking out luxury gifts for Cardi B but when it comes to men's fashion, the rapper can walk it like he talks it. Are We Looking at Our Next Top Male Model?